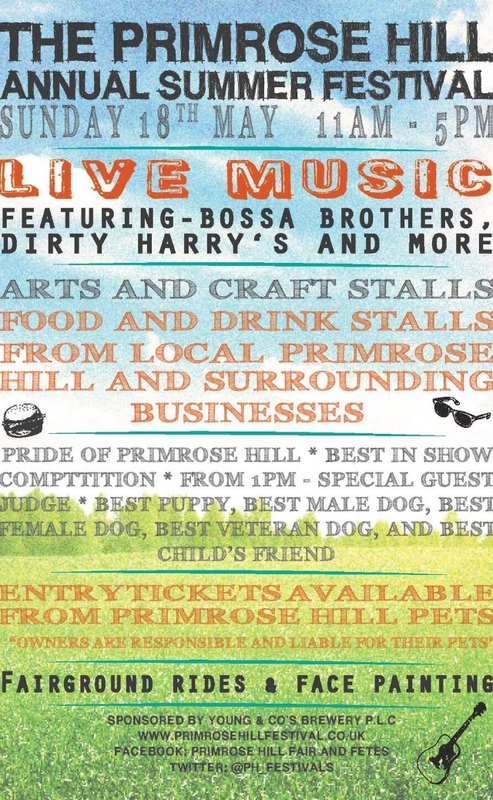 Make a date in your diary for the PRIMROSE HILL FESTIVAL, this Sunday, May 18, 11am-5pm, Regent’s Park Road. Street food, arts and craft stalls, fairground rides for the kids and even a dog show. You won’t want to miss it. For updates, follow us on Twitter: @_Primrose_Hill. THE PRIMROSE HILL FESTIVAL: PHOTO GALLERY SNEAK PREVIEW!